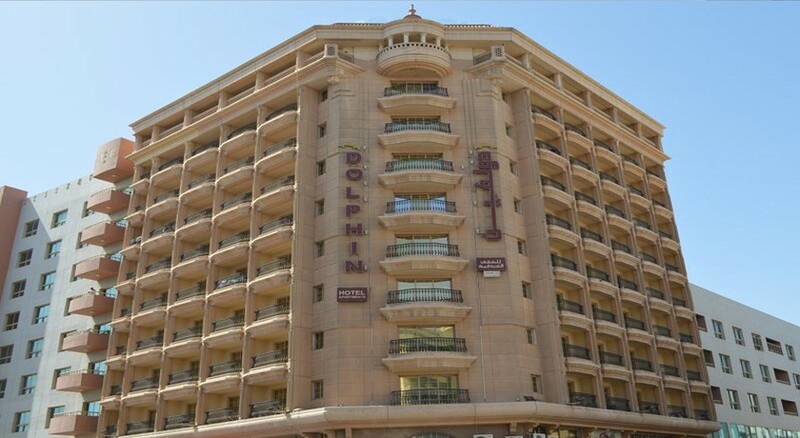 The Dolphin Hotel Dubai, located in the heart of Bur Dubai – on Khalid Bin Walid Street near the Meena Bazar - offers 110 spacious accommodation units. The hotel features a luxurious rooftop swimming pool with spectacular views of Bur Dubai to match, plus a smaller pool for kids to paddle in on family holidays. 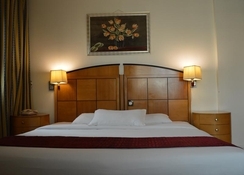 Other amenities of this popular hotel are health club facilities include a fully-equipped gym and sauna. Want to explore one of the world's most famous cities? Close by attractions include the famous Dubai Creek, at just a 5-minute walk away this location plays a major role in Dubai's history and makes for a great way to discover nearby attractions via an authentic abra boat, or water taxi. Additionally, you can also visit the Al Fahidi District, which is also an old heritage site where can see the iconic wind towers of Dubai. The Dolphin Hotel Dubai is located in the historic district of Bur Dubai, a great spot if you wish to explore the city's local culture. The famous Dubai Creek is roughly 5-minutes from the hotel and makes a great base if you want to hop on a boat and explore further afield. The Dubai International Airport is 8km away, making it easy for guests to reach the hotel, and board their flights in time. Other places of interest include The Dubai World Trade Centre which is roughly 10-minutes away, the Dubai Museum 1km away, and the world-famous Dubai Mall 10km away. 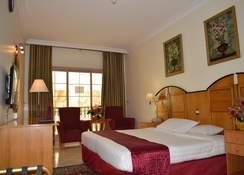 The open-plan rooms in Dolphin Hotel Apartments Dubai are categorised as Studio Single, Studio Deluxe, Executive Studio, Executive Suite and Premium Suite. These rooms include modern furnishings and are neutrally decorated. The en-suite bathrooms are fitted with a shower and a bath and the bedrooms are furnished with a double or king-size bed. In-room amenities include a direct dial telephone, satellite/cable TV, WiFi, a safe, washing machine, ironing set and balcony or terrace. The kitchen/kitchenettes are equipped with a fridge, cooker, microwave and tea and coffee making facilities. The air-conditioning in all accommodations is individually regulated. The hotel’s main restaurant Bengre Kamat serves Indian cuisine. Along with this, a continental breakfast buffet is served each morning to guests at the hotel. À la carte and set menu options are offered at lunch and dinner, too. There are also many restaurants and cafés nearby such as Desi Connection Restaurant, Lubna Restaurant, York Bar, Paul Café and the Star Bucks Café. 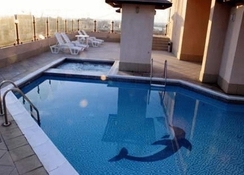 Leisure facilities at the Dolphin Hotel Dubai include a rooftop saltwater heated swimming pool and a modern fitness centre with gym. There is also a small children's pool to splash in if you're travelling with little ones. There is also a sauna and steam room to enjoy.